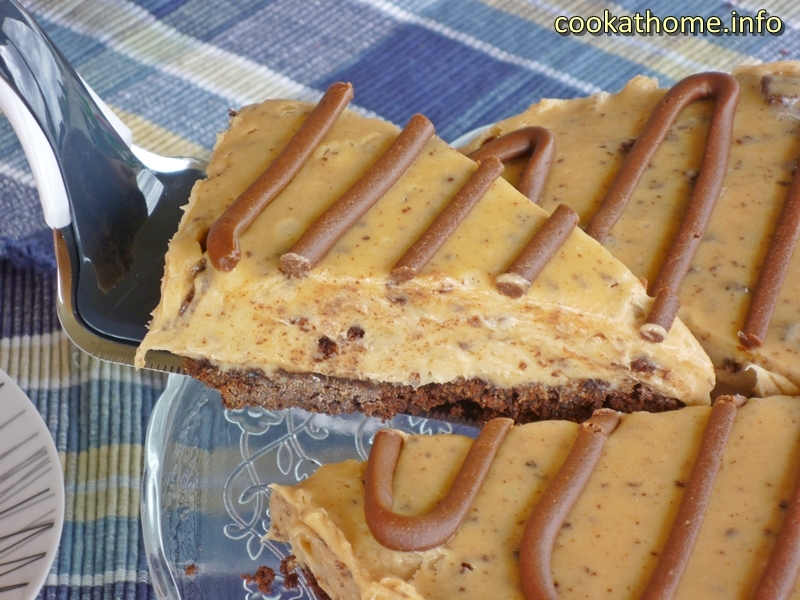 Gluten and dairy free chocolate peanut butter pie – truly melts in your mouth! You may think this is an exaggerated title for a recipe, but trust me. Everyone who has tasted this pie has given me feedback such as ‘I’ve been having dreams about that pie’, ‘that pie is awesome’, and ‘you could sell that pie and no one would know that it is gluten and dairy free’. Yes, my friends, this is truly the BEST ever chocolate peanut butter pie … for me, anyway. And it’s so simple to make. 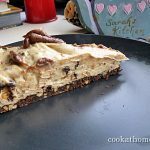 This is actually a concoction of my own, where I stole bits and pieces from other recipes and combined to make a truly delicious, creamy pie with a yummy chocolate cookie crust (with more peanut butter!). All I can say is .. try it. Please. You’ll be doing yourself and everyone you share a piece with (if you do! ), a favor! Gluten AND dairy free, but creamy and delicious. Mix all ingredients together in one bowl. Scoop tablespoon-sized balls onto baking sheet (should aim for around 20-24 balls). Place in oven and bake for 9 minutes. Once cooled to handle, place approximately 16-20 cookies (250g) in a ziploc bag and squash to form crumbs. Pour into a prepared 8" springform pan and press down to form a crust. Place in freezer to chill. Using a hand mixer, pour the coconut cream into a medium mixing bowl and combine the liquid with the whey. Add the pudding mix and continue to mix until consistency thickens slightly. Add the evaporated milk and peanut butter and mix well. Using the leftover cookies from the crust, break these into small pieces and fold into filling mixture. Pour into prepared springform pan with crust. Chill in freezer. Combine all ingredients until well mixed and smooth. Almond milk may be added if too thick. On top of chilled pie, pipe or spoon frosting as desired. Keep in refrigerator until just before serving.